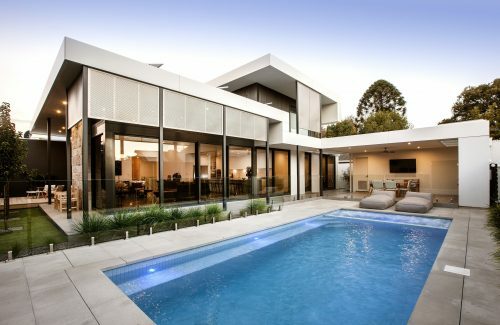 Get in touch with us to talk about how we can work together. 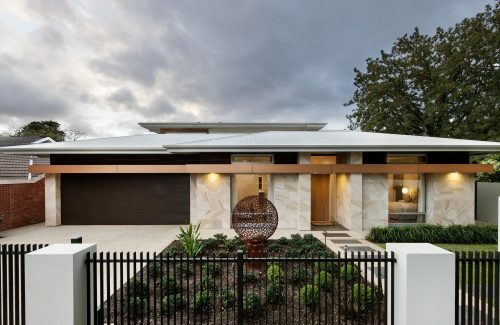 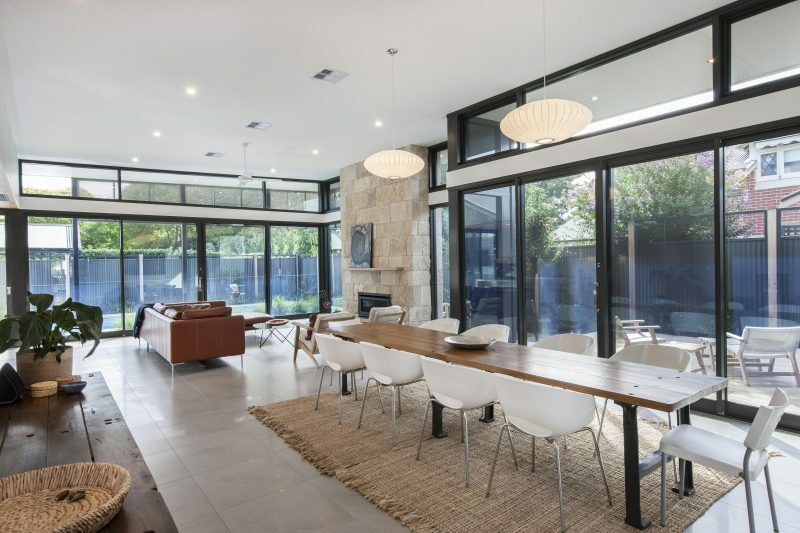 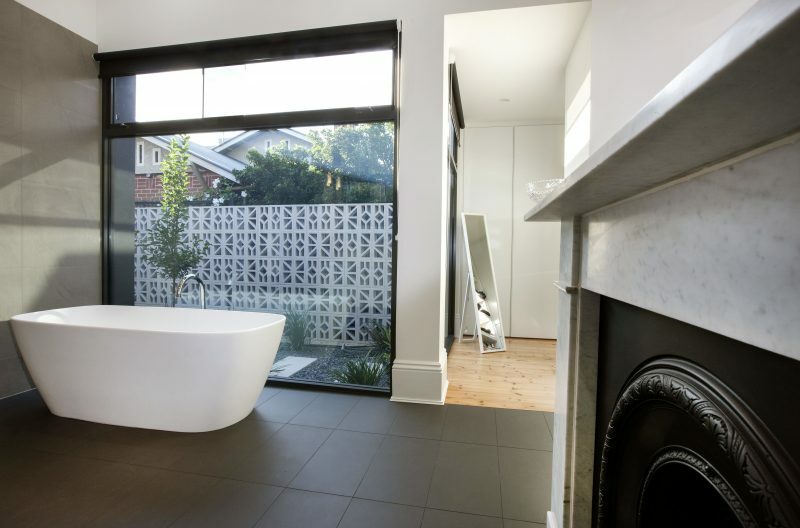 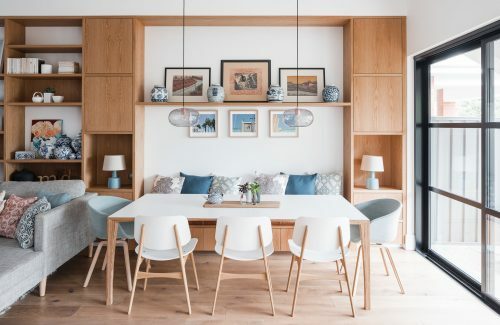 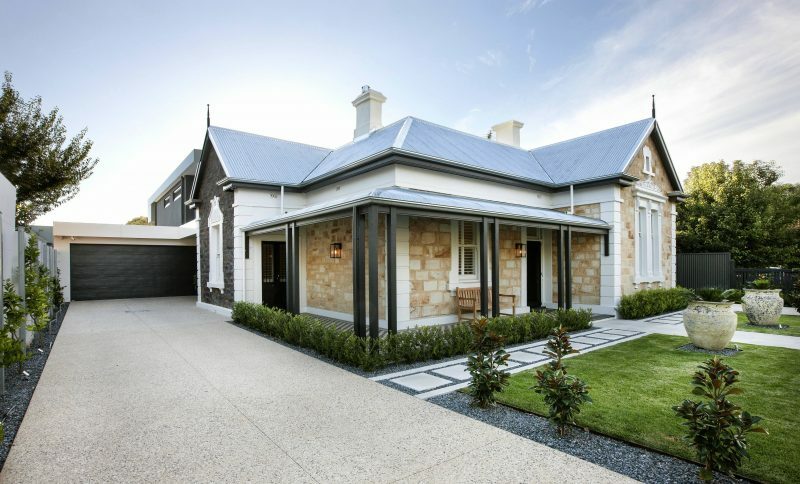 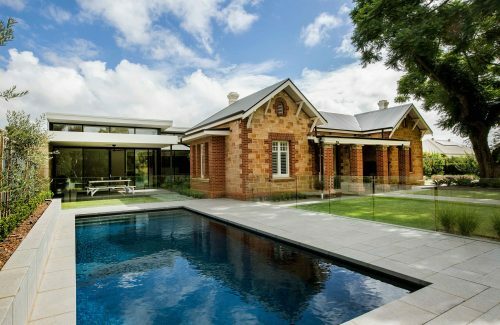 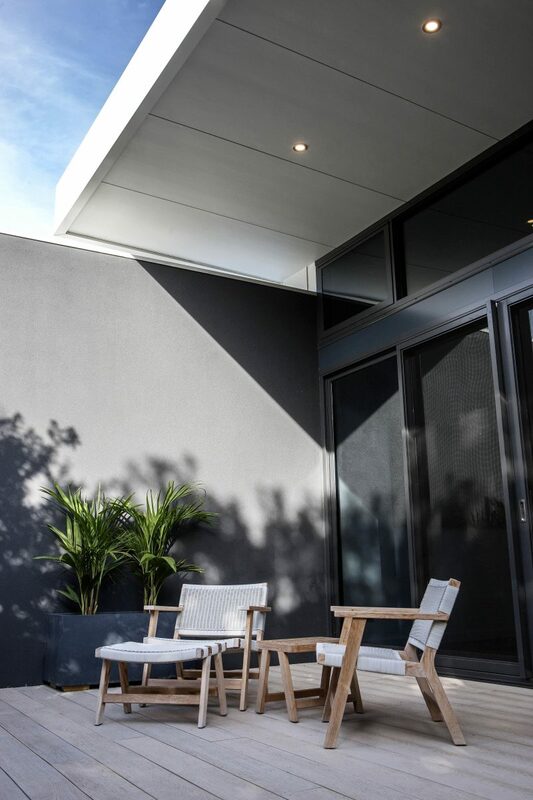 Located on one of Adelaide’s iconic streets, Outset was engaged to renovate and extend this elegant villa. 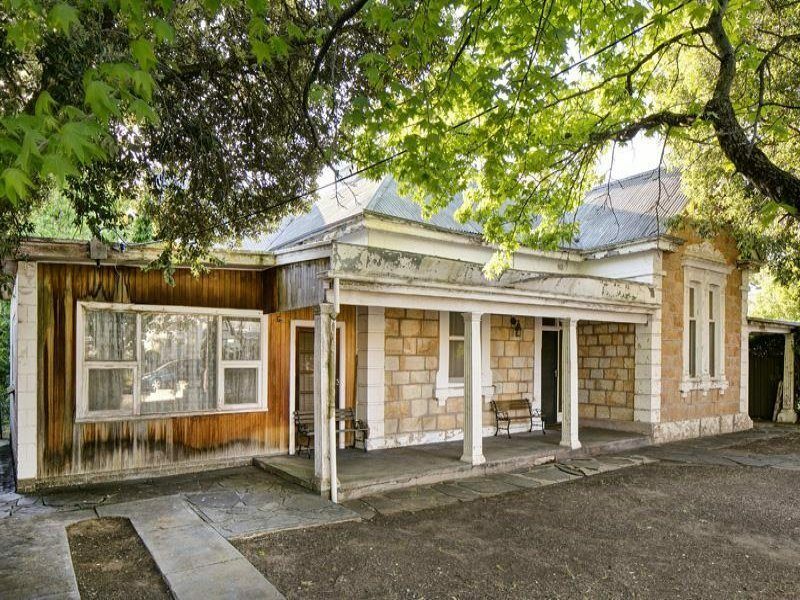 The home was desperately in need of some love and had not been touched in over 40 years. 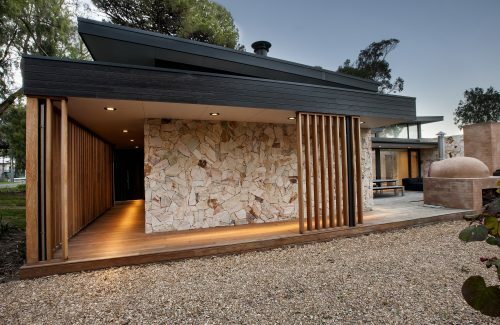 Resembling a house from a horror film, our first task was to unmask the inner beauty of the villa. 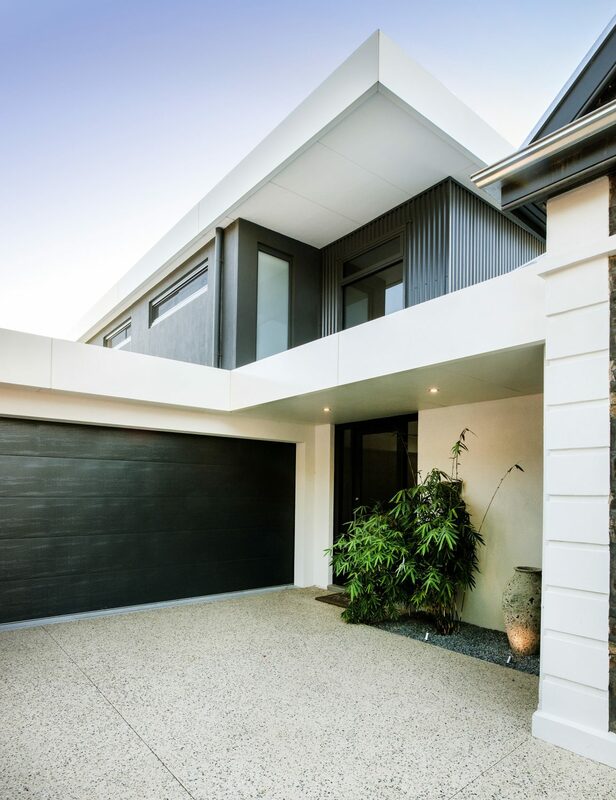 Reworking the existing part of the home had its challenges, however we could not be happier with the result and neither could our clients. 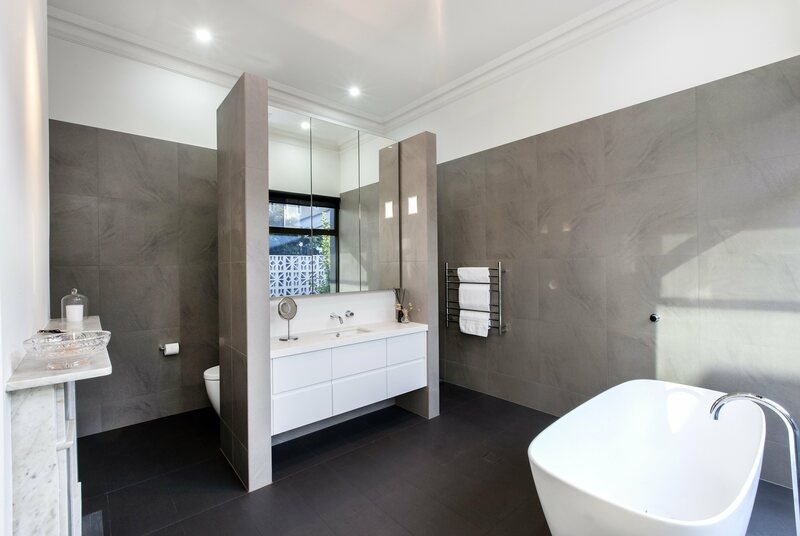 The main-bedroom suite, located in the existing part of the house, contains a large bathroom and generous walk-in-robe which overlooks a private courtyard area. 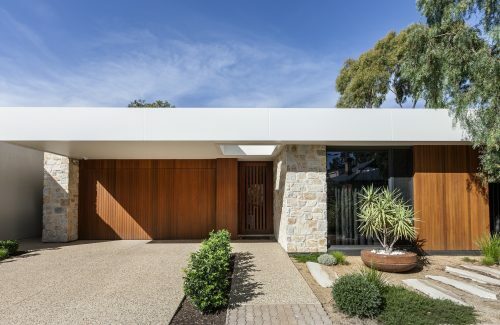 The wide hallway of the existing villa allows clear vision of the new extension from the front entry whilst still retaining the feel of the old home. 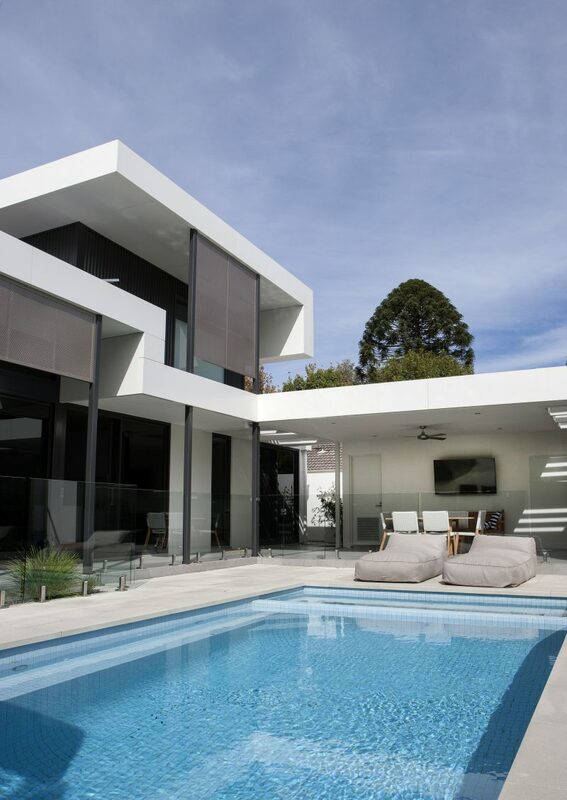 The contemporary extension contains additional bedrooms, laundry, gym, study, a large open plan kitchen, dining and living space with seamless access to the outdoor entertaining area and pool via large sliding glass doors. 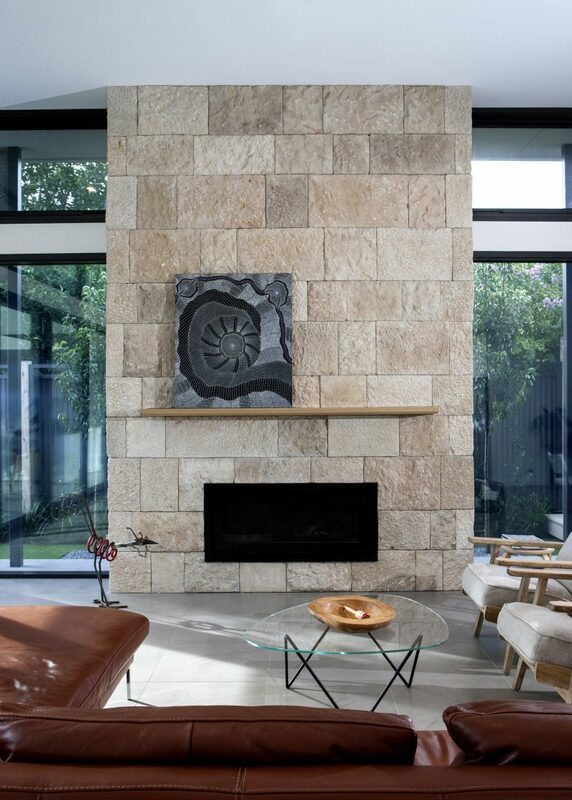 High level windows allow natural light to fill the living areas while the stone fireplace provides a reminder of the history of the original building. 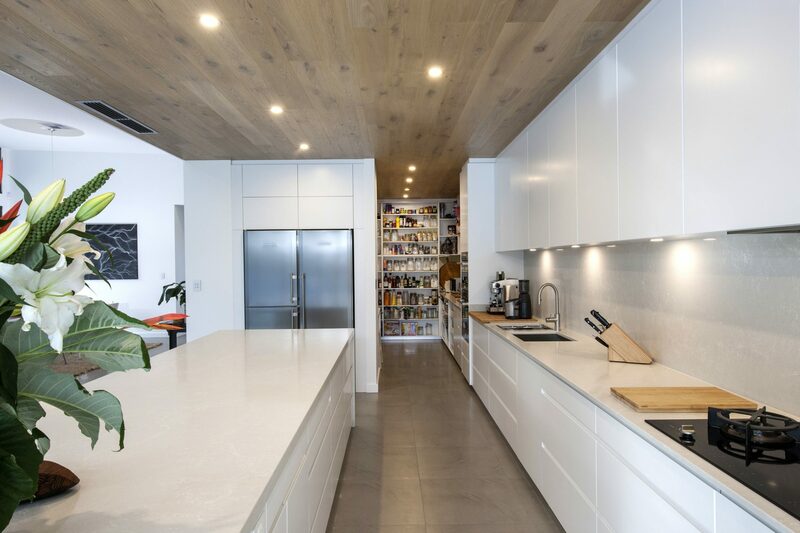 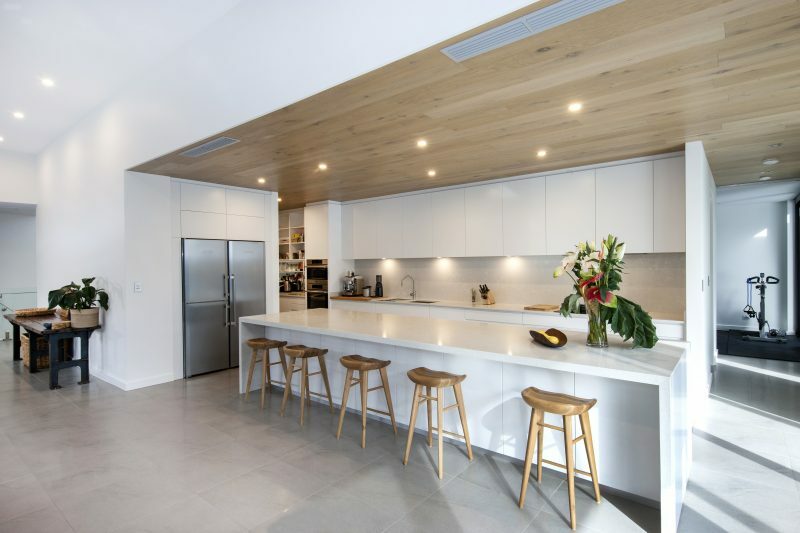 The timber ceiling is a unique feature of the kitchen and continues into the pantry and gym area.